I’m Kay, affectionately known by the nearest and dearest as ‘chaos’! A travel enthusiast and devout foodie, I regularly escape city life in Edinburgh in a bid to clear my head and fill my belly. Fresh air, bright colours, local produce, unique experiences and scenic splendours seduce me as a flame does a moth. My romance with Scotland only truly blossomed in 2010 when I became a tour guide in the Highlands. Until then, I had never really appreciated what was right on my doorstep. I was like a lovestruck teen, and I had to see more and entice other people to do the same. I needed a good camera and a website. Two years later, The Chaotic Scot was born. The shadow of our teeny plane raced across the patchwork fields below.We were soon level with the clouds, yet low enough to appreciate every loch and mountain peak. Our pilot took us the ‘scenic route’ on an aero-tour of the west, passing the Falls of Lora and Oban, with the isles soon in sight. 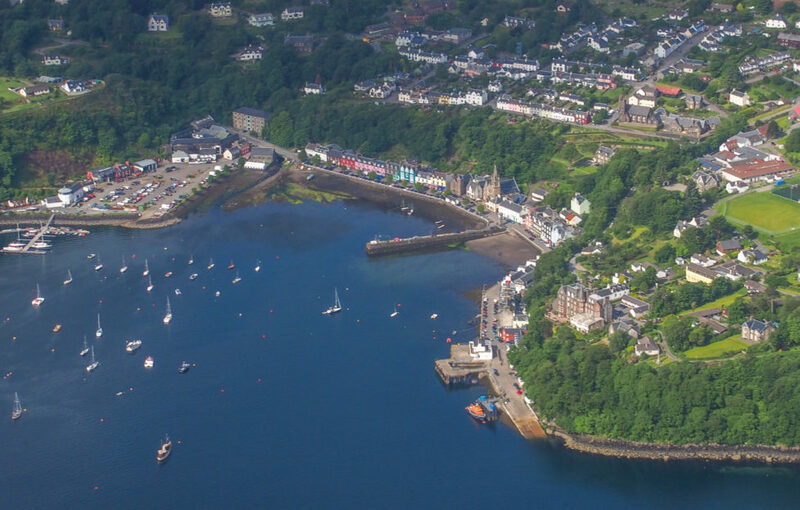 I got my first glimpse of Tobermory’s rainbow façades and little boats in the harbour; I’ll be back in September for a much closer look, along with Staffa and Iona. We began the descent. The 50 minutes from Glasgow had gone so fast! Caribbean-style aqua water hugged the green peninsulas which jutted from the island. Looking ahead through the open cockpit, I could see us quickly approaching the white sand which sparkled in the sun; it was the prettiest runway I’ve ever seen. We literally glided onto the beach, before disembarking across the sand and into the compact terminal. This was my second visit to the Outer Hebrides in July. 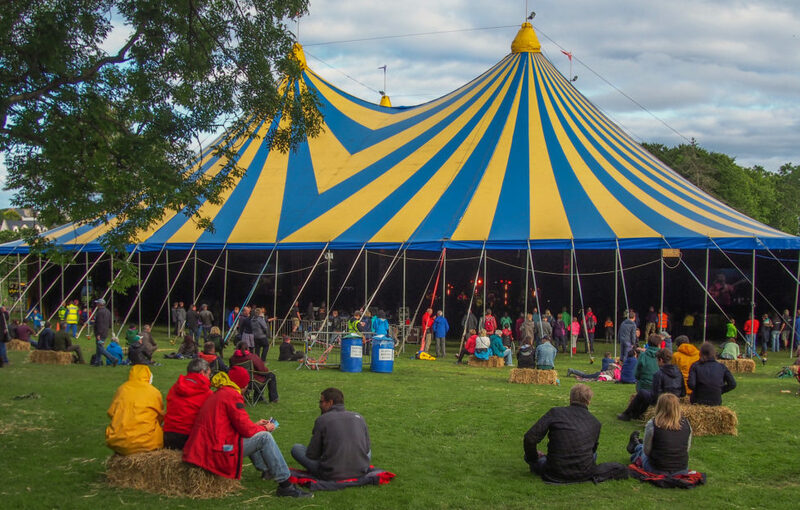 On my last trip I spent four days on Lewis at Heb Celt festival, where I indulged in a cocktail of live music, ceilidh dancing, Stornoway black pudding, single malt whisky and Hebridean beaches. Not all at the same time, of course. The Celtic sounds, sporadic sunshine and clean sea air formed an intangible rehab from the rat race. I absorbed the island vibes as if by osmosis, the pollution of city stress dissipating by the hour. Every taxi driver had a story to tell, people were unrushed and happy, and from what I saw in the Stornoway pubs, the locals certainly enjoy a good knees up! I had a feeling Barra would be the same. “Where are you staying?” asked the Barra bus driver. Turns out the £1.70 fare from the airport to Castlebay entitles you to a most hospitable drop-off service at your accommodation. Arriving at the hostel, my friends and I found our names on the blackboard inside, and made our way to our unlocked rooms. There’s an honesty jar to pay your balance if you don’t see the staff during your stay, and a separate one in the kitchen too, for the freshly caught mackerel calling your name in the fridge. I instantly loved Barra. 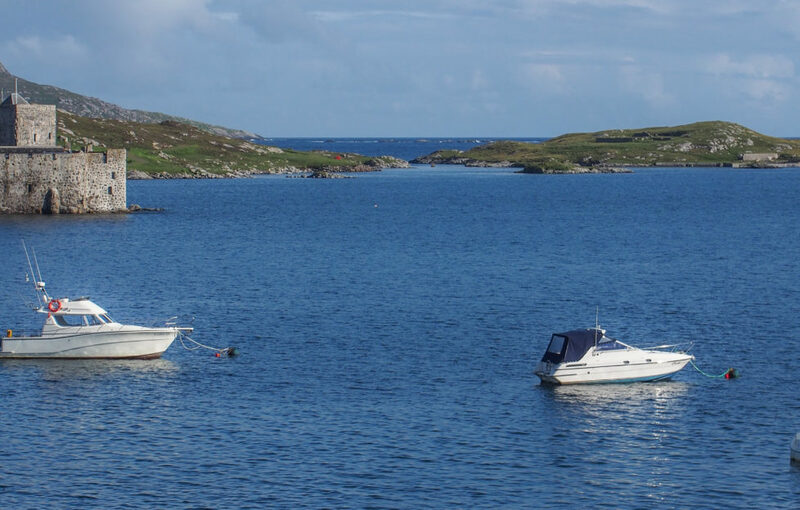 A short walk from the hostel and you’ll find the ferry port, the legendary Castlebay pub, a local produce shop, and Kisimul Castle rising from the surface of the water. I didn’t visit the castle, but I did visit the restaurant which takes its name. 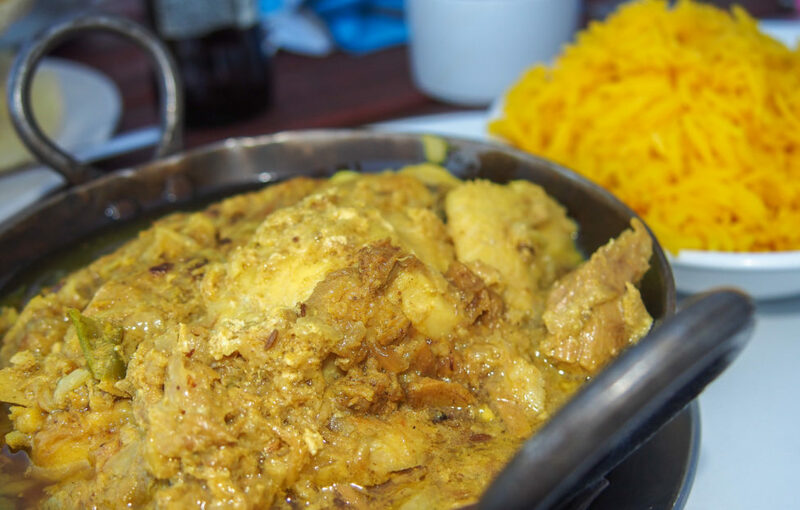 Cafe Kisimul is an island institution, specialising in Indian and Italian seafood. 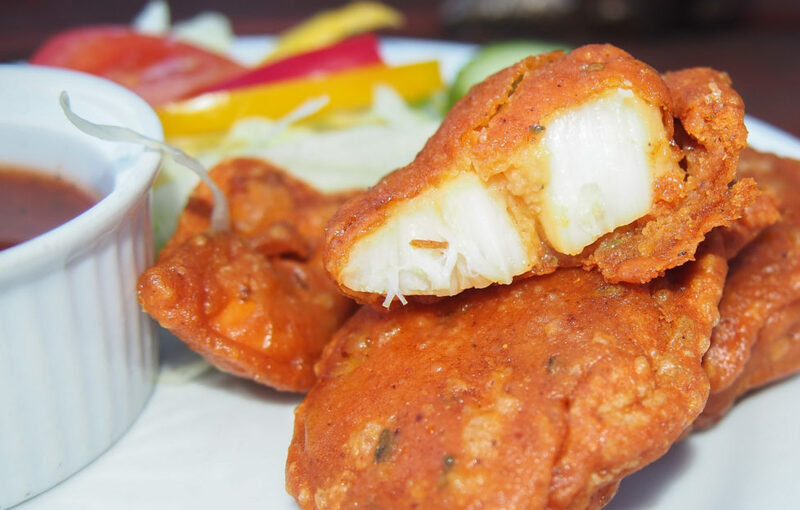 Scallop pakoras, followed by cod and monkfish in a tuna masala. It was so good, we immediately rebooked for the following night. 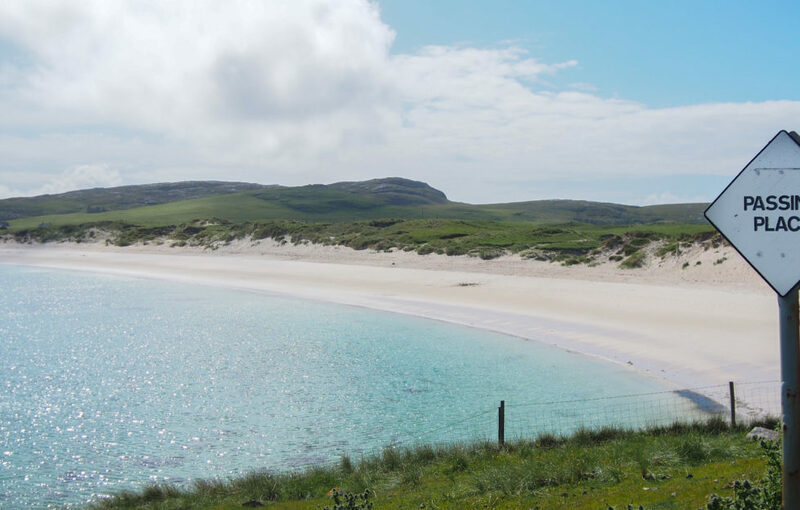 A cycle to Vatersay should burn off two nights worth of curries, several beers and a Hebridean toffee muffin, shouldn’t it? Given the gradient of the hills en route, I would certainly think so. Luckily the coastline rivalled that of any other I’d seen, with only Antigua coming close. 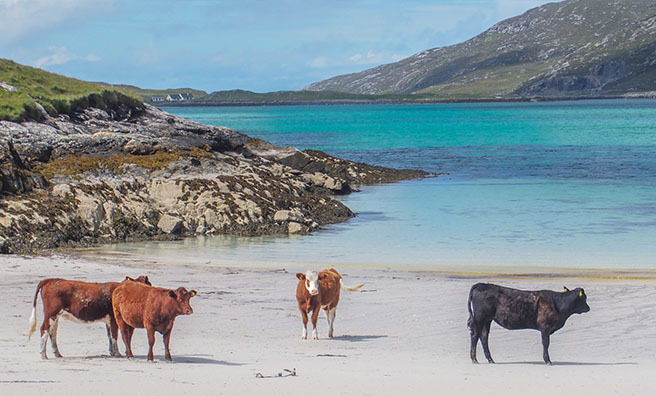 We crossed the causeway from Barra to the Hebrides’ most southerly isle, to find seals frolic in the bay, cows sunbathe on the beach, and surfers ride the Atlantic swell. With nothing really there, it was everything I wanted it to be. We had seen the islands by plane and by bike, now it was time for a ferry. 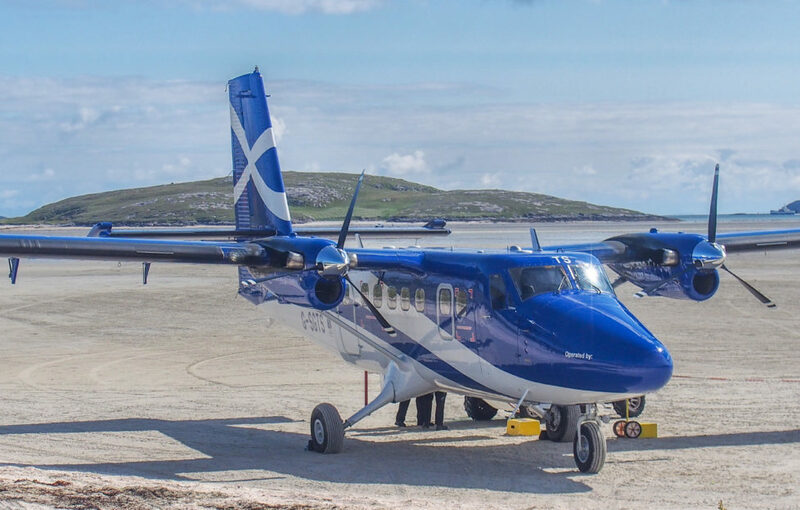 Eriskay ahoy! The ferry arrives in view of the idylic Bonnie Prince Charlie beach; marking where he first set foot on Scottish soil. 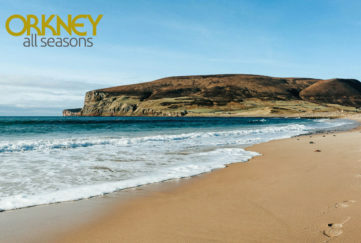 The island’s other claim to fame is best described as ‘Whisky Galore’. For those not familiar with the film, in 1941 a ship carrying a cargo of 250,000 bottles of whisky crashed onto shores of Eriskay. Naturally, the islanders raced to save as much of the precious booty as they could, before the SS Politician sank underwater. True story! Nowadays if you’re looking for a whisky on the island, head to the only pub – also named the Politician. We walked off my lunchtime pint and seafood chowder on the long, exposed causeway from Eriskay to South Uist, and then back. The water was a dreamy blue and it was silent, sparing the wind. 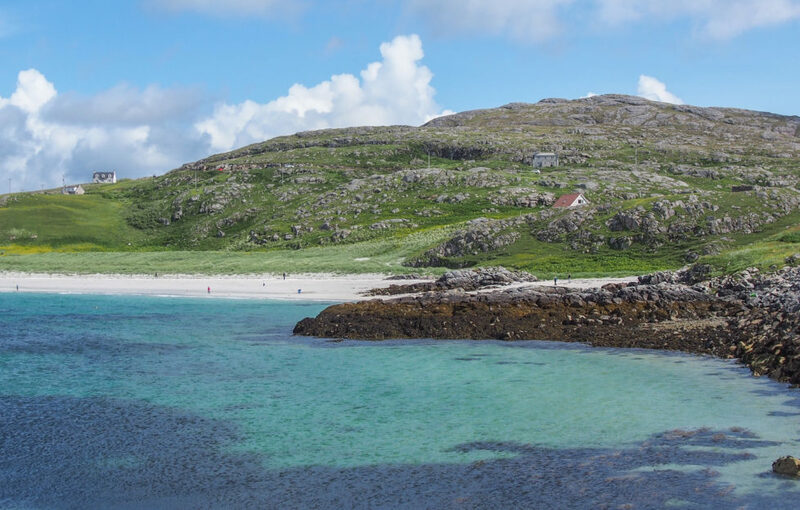 Back on Eriskay, we popped into the town community hall ‘fun day’ on the way to the return ferry and picked up a whole, cooked lobster for £5. It formed part of our homemade hostel feast the following day. Our platter featured Isle of Mull cheddar, scallops & chorizo, cockles, chutney and oatcakes. We relaxed in the lounge, our warmth supplied by hot drinks and the roaring wood-burner. The wind lifted and propelled the rain diagonally into the big window overlooking the bay. It was the perfect way to spend an island Sunday. Back on the mainland, the rest of the Scotlanders joined forces with Welcome to Fife to promote the fantastic Kingdom. My five fellow bloggers each covered a different theme to showcase this east coast region: Neil took part in outdoor adventures; Nicola ate her way along the foodies trail, which you can read about in our previous Scotlanders update for the Scots Magazine, here; Susanne had a romantic weekend; Kim spent his time in the local distilleries and Dougie wandered the coastal path. 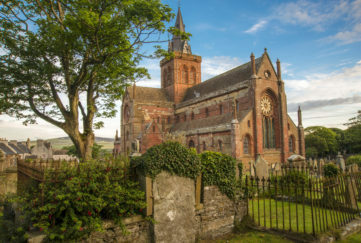 Keep your eye on our Twitter page @scotlanders for their blogs about the campaign. 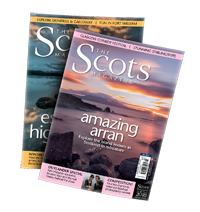 Be sure to follow our adventures on Twitter using #Scotlanders, and check back at our Scotlanders’ Corner page for our next update for the Scots Magazine! I stayed in the Dunard Hostel in Castlebay. 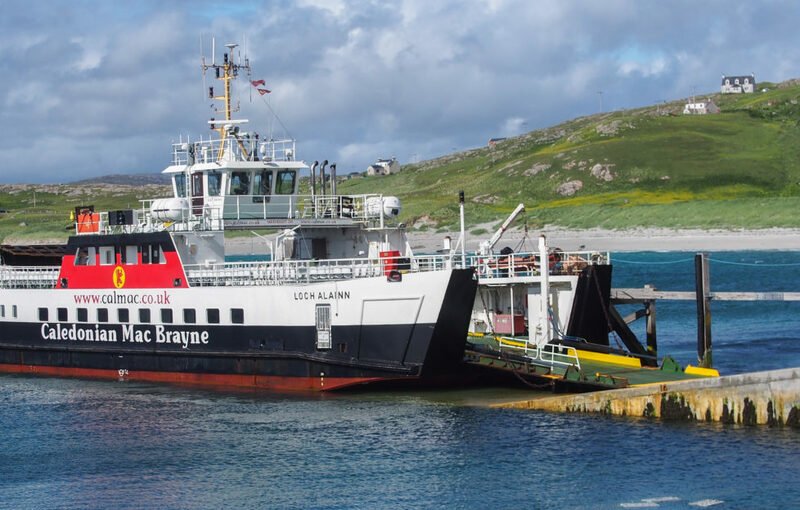 I took the CalMac ferry from Barra to Eriskay. 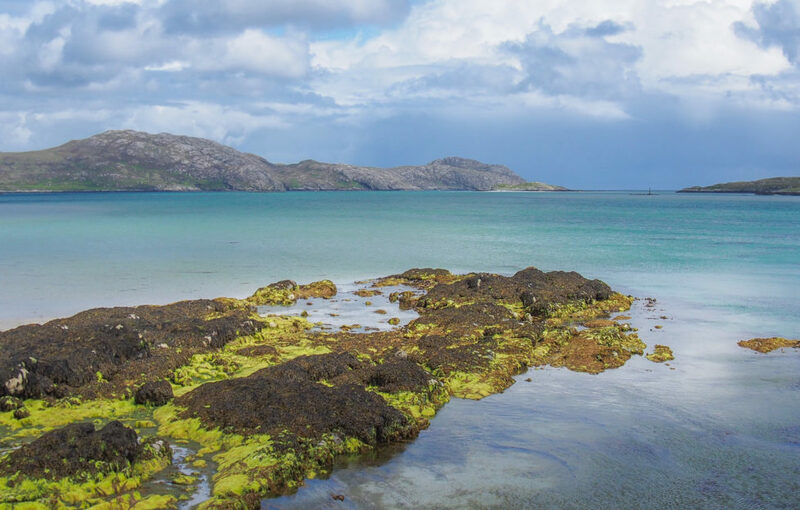 I’m going back to the islands, this time on an ‘Isle-athon’ campaign with the Scotlanders and CalMac ferries. 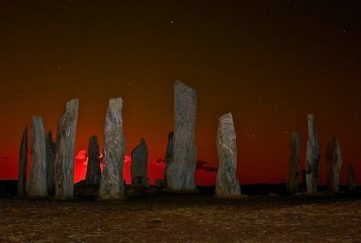 We’ll be spread out over a selection of Scotland’s most beautiful islands from September 4 – 7, so keep an eye on the links below for more! You can follow my adventures on Facebook, Twitter, Instagram and on my website.